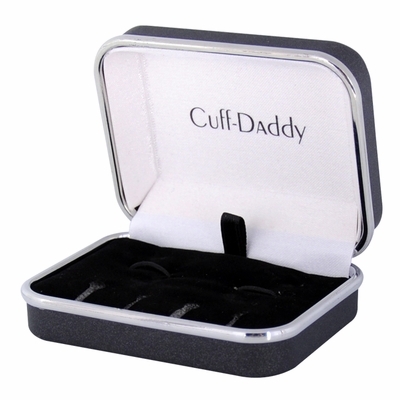 This pair of cufflinks is everything you need if you want to add elegance and style to your outfit. 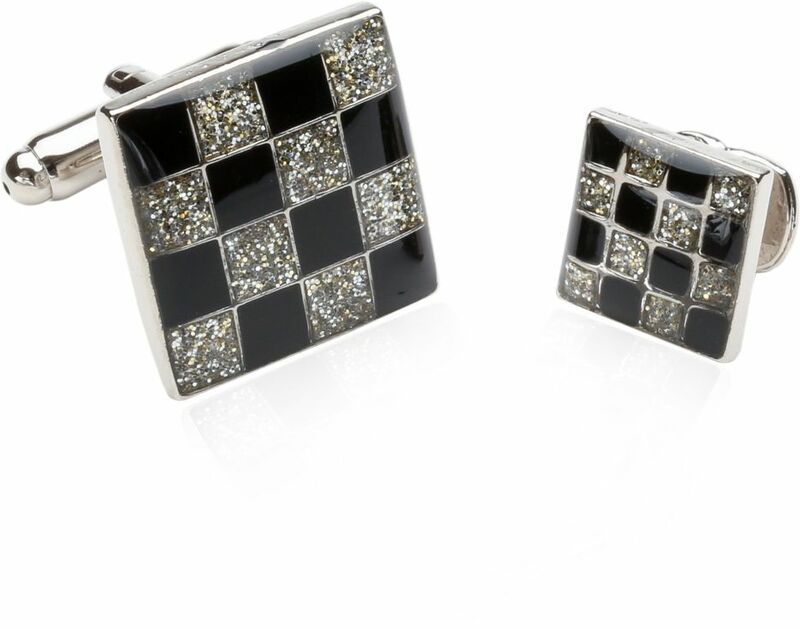 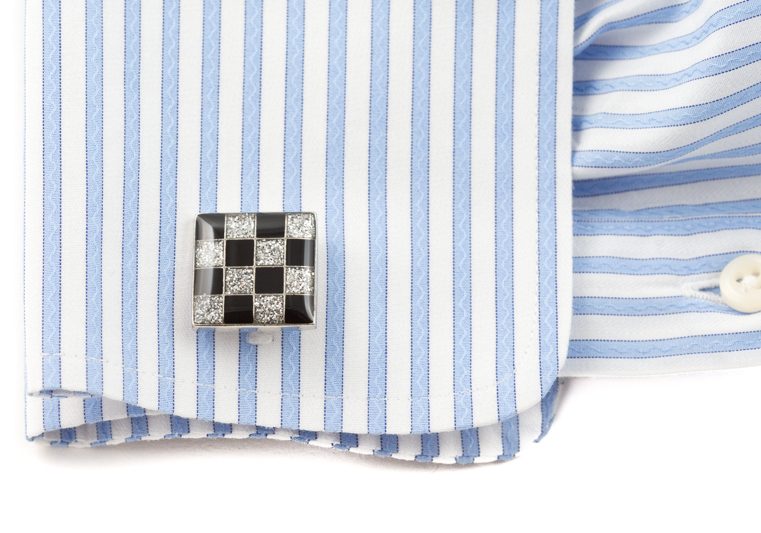 Add this 5/8” diamond dust checkered cufflinks and the matching 3/8” studs to your tuxedo the next time you attend a formal gathering and you will see everyone turn their head twice! A high grade rhodium silver mount serves as the basis of each piece, which was carefully hand-finished and verified to ensure their long-lasting quality. You will love all the attention and compliments you receive by wearing these fun and stylish accessories! 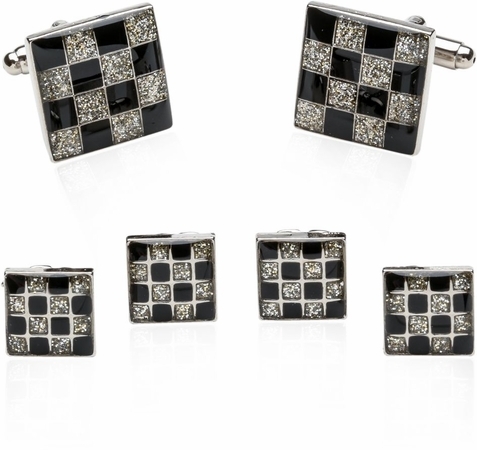 I like these checkered styled cuffs and studs because can add a subtle and intriguing pattern to evening attire.